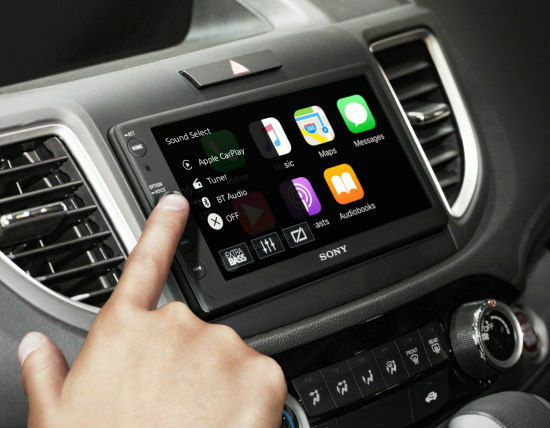 The Sony AX100 joins the likes of Pioneer Audio in providing after-purchase infotainment units providing compatibility with Apple CarPlay and Android Auto. 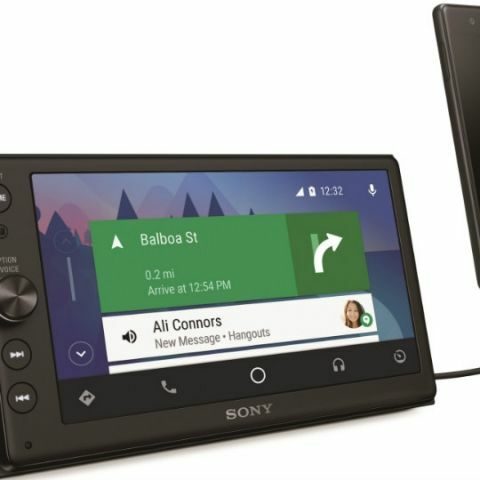 Sony has launched the XAV-AX100 in-car system in India. Apart from providing a better sound system to the customers, the XAV-AX100 also gives access to Android Auto and Apple CarPlay software, even if the cars didn’t come with such infotainment systems from the factory. The XAV-AX100 consists of a touchscreen display with USB and Bluetooth connectivity. The screen has a simple interface and Sony claims it gets improved visibility for late night drives and glaring sunrays. Apart from the touch control panel, the drivers can also interact with the system via voice commands, which will help minimise the distraction for them. Moving on, for the audio, the XAV-AX100 utilizes four 55W Dynamic Reality Amps that also integrate Sony’s Extra Bass feature, a 10-band EQ and a Dynamic Stage Organizer (DSO) to improve the sound quality in the car. The head unit makes use of three pre-outs for connecting to external amplifiers. Sony has focused on improving low frequency performance with the new in-car audio setup. Apple CarPlay v. Android Auto: Which is better for India? Finally, the XAV-AX100 also adds a rear-parking camera to the car, something that is often missing in sub-Rs. 10 lakh cars in India. Given the country’s traffic situation, the camera will come across as an incredibly useful tool when parking in tight spaces. The XAV-AX100 is priced at Rs. 26,990, which doesn’t seem a lot, given the array of features it offers.